This agreement is a clear and present danger to every decent person on our planet. 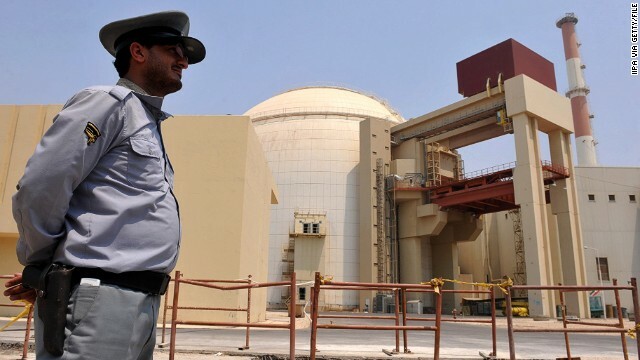 To give the radical Islamic dictatorship controlling Iran a ton of money, lift sanctions, and essentially grant them permission to enrich uranium, is beyond irresponsible. It's reprehensible. To give the Ayatollahs the space, time and money to make nuclear weapons when they know that they will use them to obliterate other nations, is a crime against humanity. Everyone whose signature appears on that agreement, including Obama, should be charged with war crimes. Iran accomplished it's goals 1) Continue with it's nuclear program 2) Get relief from sanctions. What did the US get 0! Netanyahu will never be happy with anything short of bombing Iran. This has been his goal for years now, constantly crying "wolf" and "the sky is falling"! His sole purpose – start another war! Get real, Netanyahu, wars solve nothing! Iraq was a disaster, now in it's 13th year of killing. When NATO troops pulled out, they just kill each other. Afghanistan another no win, no peace war. Pakistan is the ultimate "back stabber" of all. Hiding Bin Laden for years. Syria? Sure, we could have easily bombed Assad and started another Iraq style engagement. Fortunately, we avoided this and got chemical weapons removed from the options. Is there any peace? No! However, bombing Assad would have changed nothing. He would still have his chemical weapons. Now, please tell us all how your "talks" with your neighbors are going? You bull dozed more Palestinian homes just one week before these talks were to resume. Your strategy of "apply more pressure" really worked well!!! I suggest you BEGIN to work with our President Obama. You hate him, I know, and rely on your lobbyists and purchased members of our Congress. Just think, you just may have to deal with Hillary in the future!!! For you, this will be much worse! Sorry, our trigger happy cowboy Bush is out of the picture! Inciting new wars is simply not going to happen! Obama phucked up yet again. It kinda seems like this is theater , evidenced by recent reports of when it started and how long people knew it was going to happen. It kind of seems like Iran was given a year to do what they like , with the expectation they would make this deal . I suppose only time will tell. All I know is no matter what evidence you could bring up that it was a bad deal it wouldn't have stopped it. The guy did brag that he could lie to us, get relief , and continue the program after all and looke where we are now. I would say he has made good on the claim.